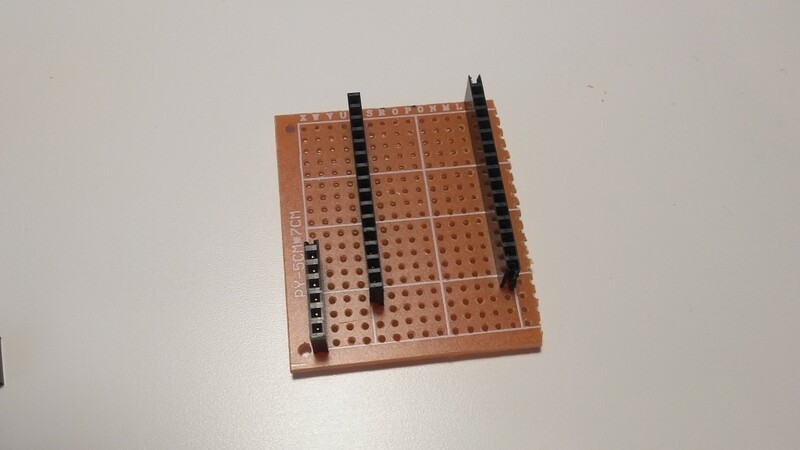 The first step is to find a piece of proto-board and a female pin header that fits onto the pins of the transmitter. 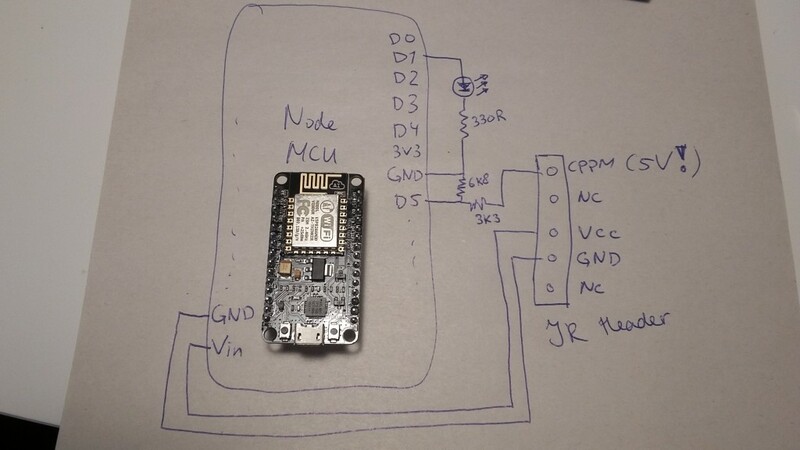 For this module, I’m going to be using a NodeMCU board. This one is very good for prototyping because it has a USB port, but also a voltage regulator which I will be using. I also added some female pin headers for the NodeMCU. Proto PCB with headers for NodeMCU and JR-header. It is important to check the voltage of the CPPM signal, because this differs between transmitter types. 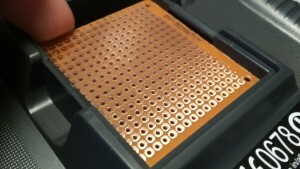 If you want to be sure that it does not destroy the ESP module, use a MOSFET like I did for the final version. 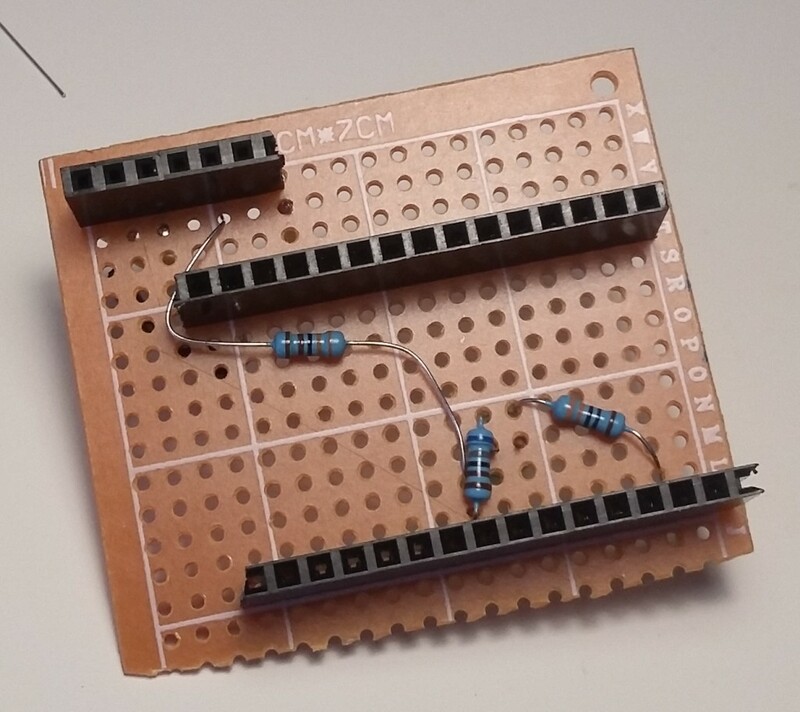 In this case, I implemented a cheap and easy voltage divider with resistor values 6.8k and 3.3k, which gives me approximately 3.4V. I also included a separate LED, because the NodeMCU will be facing down when its inserted. Put it in series with a 330 ohm resistor. 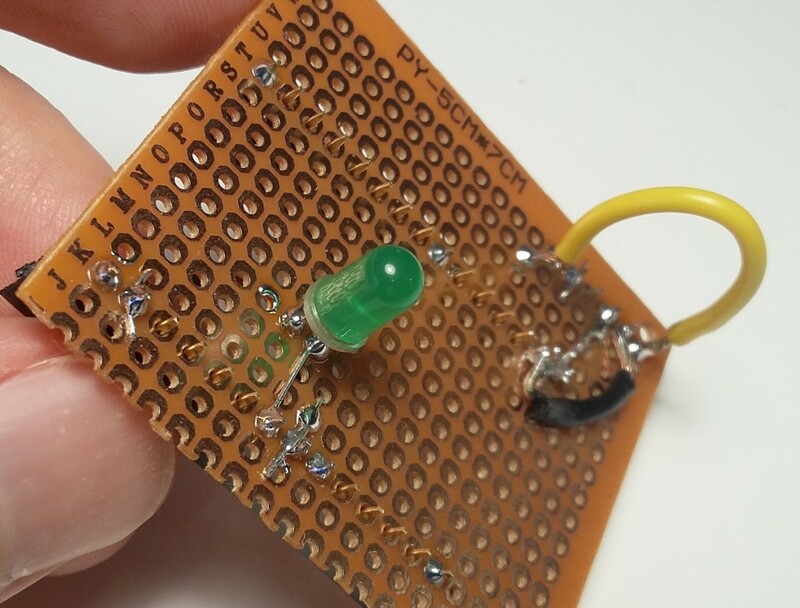 Voltage divider and resistor for the LED. 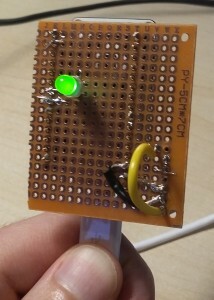 On the other side, the LED is soldered. 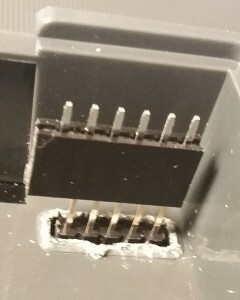 I also added a thick yellow wire, which is not connected to anything. This thing helps me to remove the module from my transmitter. 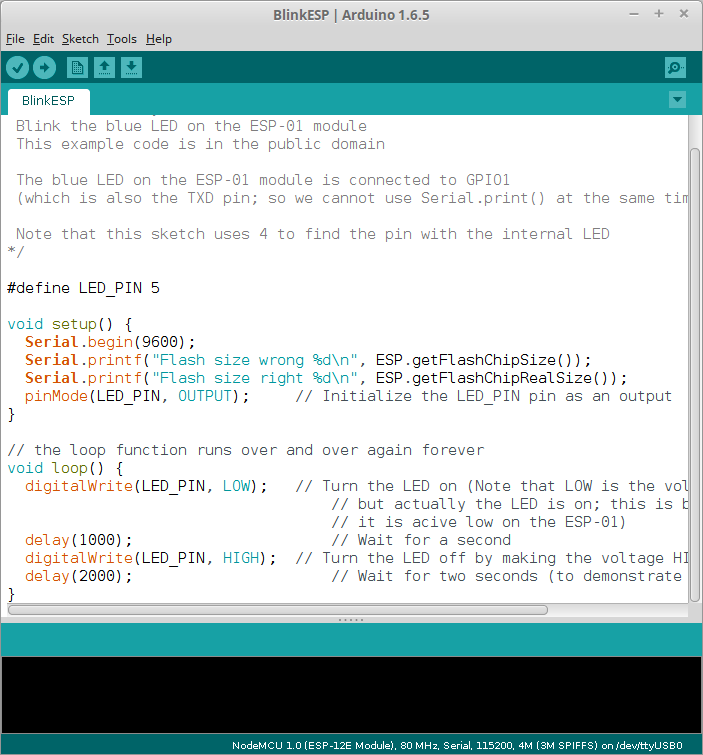 Now that the blinky code works, its time to upload the real thing. The firmware is open-source and can be obtained from github. Upload it and fly! 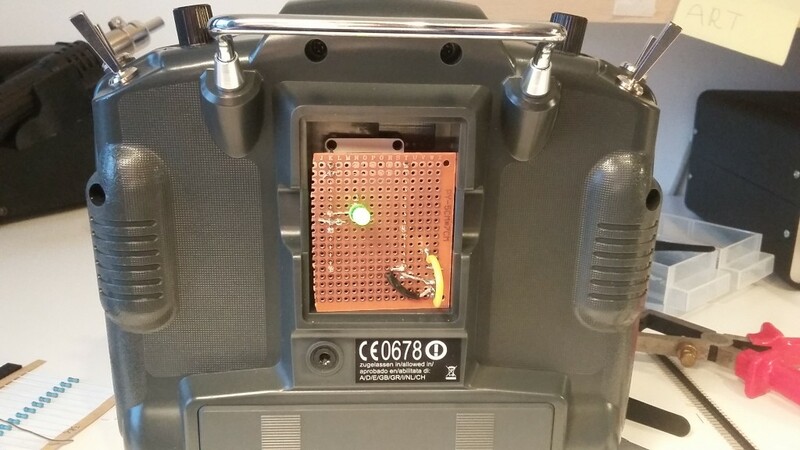 Proto module in a Turnigy 9X. Because the prototype worked so well, I decided to make it nicer. I designed a custom PCB, ordered plastic cases and smaller parts and put it al together. A friend of mine designed a nice logo for it and we opened a small webshop for it. 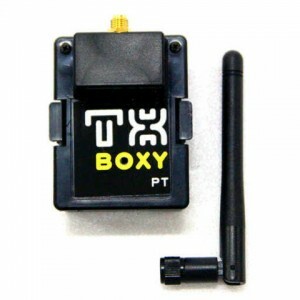 So if you would like to fly your ARDrone2 with your own transmitter, but don’t like to solder a prototype together like this, check out txboxy.com.